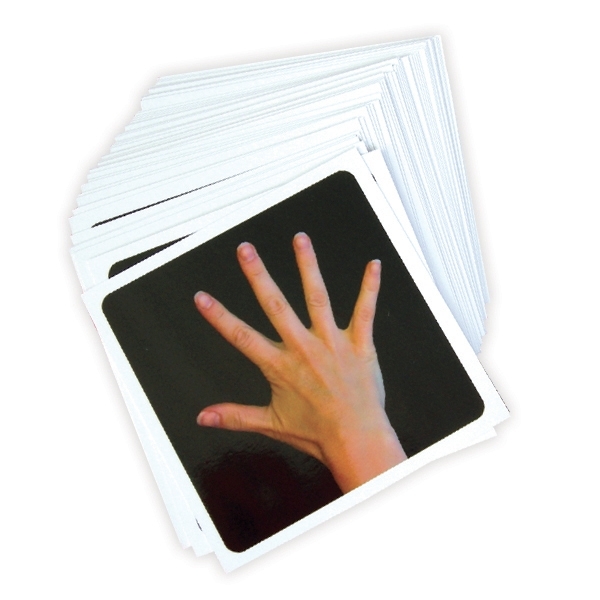 Test and train patients’ left/right discrimination abilities with NOI RecogniseTM Hand Flash Cards, an integral element of Graded Motor Imagery. Non-returnable. Research shows that many people with wrist or hand pain lose the ability to quickly discriminate between left and right images of hands. NOI RecogniseTM Hand Flash Cards will quickly establish whether a patient’s brain can determine between left and right hands. They are also effective for re-training left/right discrimination as part of a Graded Motor Imagery rehabilitation program. Measure 45⁄16" x 45⁄16" (11cm x 11cm). For use under clinical guidance, NOI Recognise Hand Flash Cards are an integral part of the GMI exercise process as explained in The Graded Motor Imagery Handbook by Dr. David Butler, Dr. G. Lorimer Moseley, Timothy Beames and Thomas Giles.